"Found just what we needed at GunDogSupply." These leashes work great. We were replacing two 11 year old Flexi leashes that were just starting to fray. We knew we needed to buy the Flexi brand again because they are so well made. We had trouble finding the right length. Every one we found in local stores was too short. Found just what we needed at GunDogSupply. Super fast delivery. 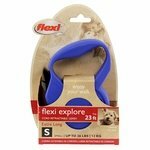 I love this flexi leash. The long length gives my chihuahuas freedom to explore on their walks. Super sturdy design. Best price around. I am impressed by the quality of service and product from Gun Dog Supply. Thank you. I would definitely buy again from Gun Dog Supply. 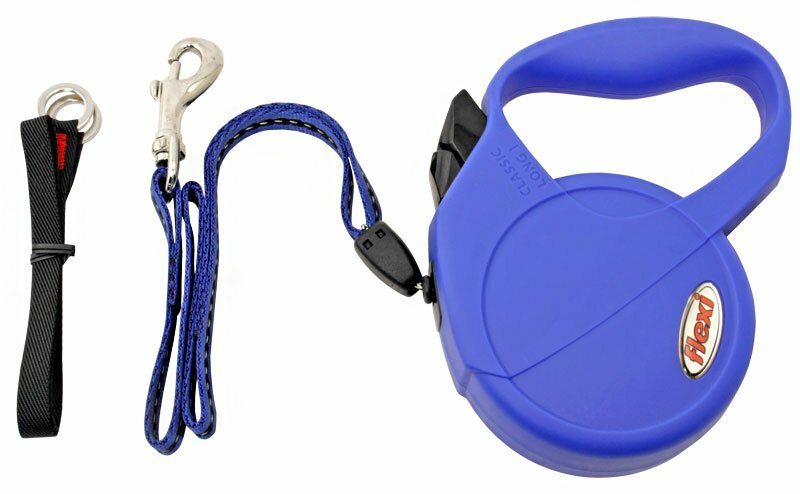 Small Blue Flexi Explore Extra Long Retractable Cord Leash -- 23 ft.
A longer version of the best-selling Flexi Classic leash. Make your walks more enjoyable by allowing your dog the freedom of movement he wants. 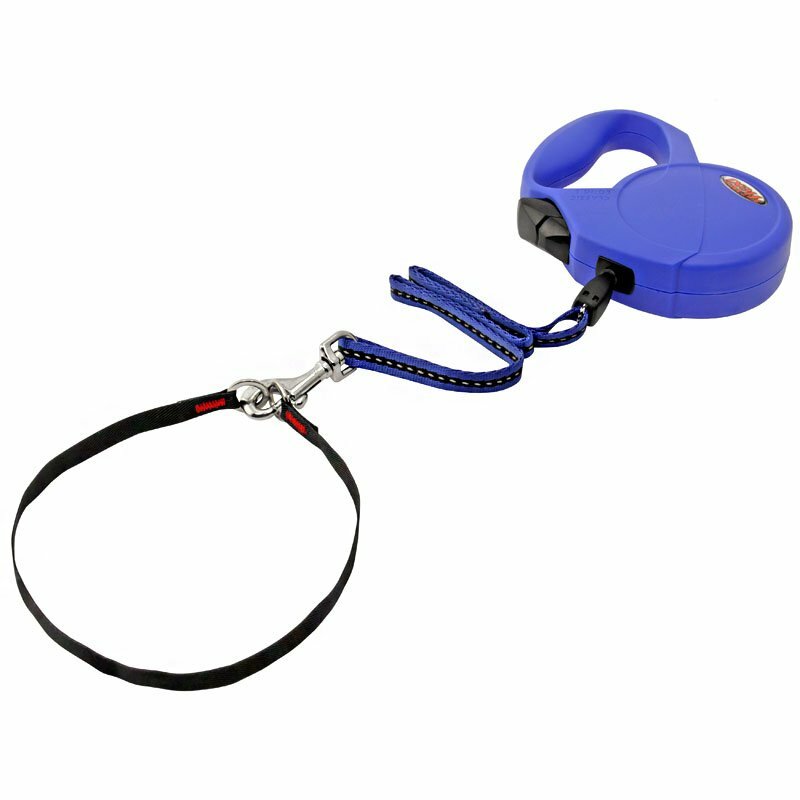 Simply hold the leash by the handle and the smooth and durable retracting mechanism will keep the leash tight. To stop the leash, press the brake button with your thumb. It will remain locked as long as the button is pressed. The Flexi Explore Extra Long also has a brake lock to keep the leash at a fixed length. This is useful when you want your dog to walk to heel. Features reflective stitching in the lead tape. Includes safety reinforcement collar. Rated a Best Buy by Consumers Digest. For dogs up to 26 lbs. One year manufacturer's warranty. Large Red Flexi Explore Extra Long Retractable Tape Leash -- 26 ft.